Image courtesy of Jonathan Fine. A 19th century Vili mask from Congo meets a 21th century masked conservator in Berlin – now that’s an image worth sharing! Jonathan Fine, African art curator at Berlin’s Ethnologisches Museum, recently posted this great picture on his twitter account. It shows a conservator examining a Vili mask (III.C.8098a) to figure out what kind of conservation it needs to be displayed. He’s wearing a mask because many objects in the museum’s storage were treated with pesticides years ago. Its residues tend to collect on the surfaces and if these are dusty, the pesticides can get into the air easily. 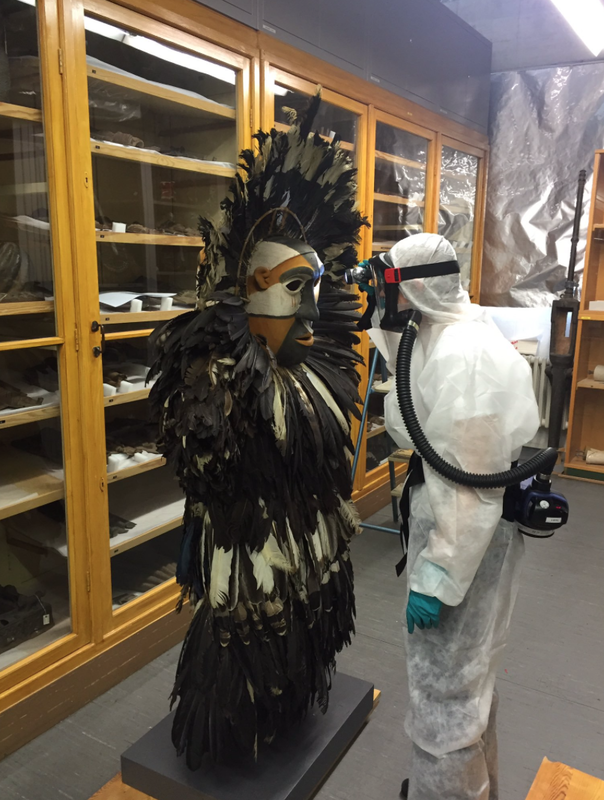 For objects that have not recently had dust removed (especially things with feathers where dust is easily trapped), conservators need to wear masks and protective gear. One of the first steps in preparing objects for exhibition in the Humboldt Forum in 2019 is to treat them to remove surface dust. 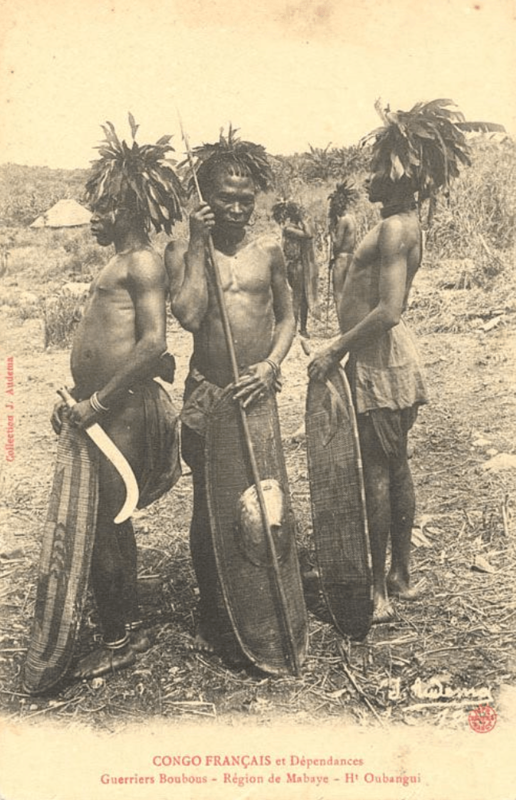 ps Robert Visser, who collected the Berlin mask between 1882 and 1898, made the below field-photo showing a ndunga mask “at work”. On the pedestal before the kneeling man, one can also spot a power figure (intriguingly slightly out of focus as if it did not want to be photographed). There are only a few known examples of this type of mask: the Museum of Ethnography in Leiden and the World Museum Rotterdam each have two; another example can be found in the Museu Nacional de Etnologia in Lisbon. This entry was posted in Museums and tagged Vili on September 22, 2016 by admin. 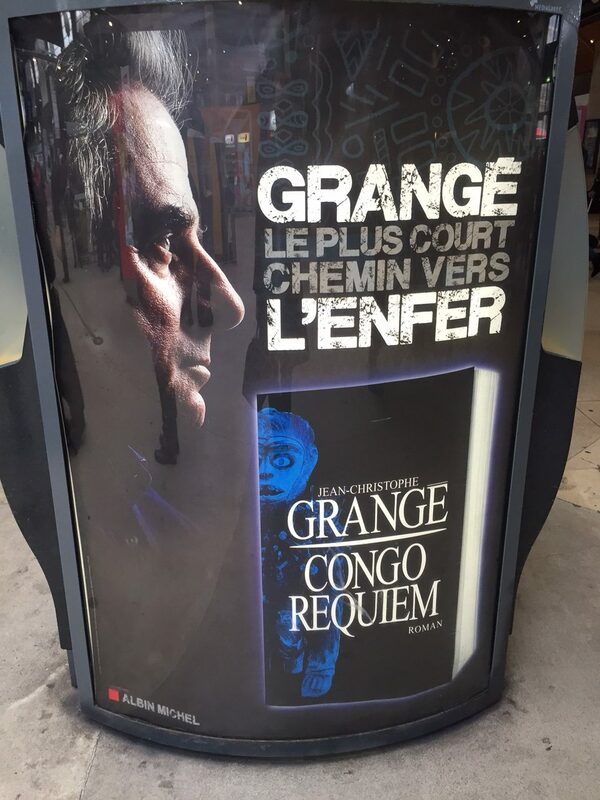 One encounters African art in the strangest places; yesterday I was leaving Paris as I ran into this advertisement for the new book of Jean-Christophe Grange in Gare du Nord. On the front cover, I spotted a famous zoomorphic figure from the Democratic Republic of Congo. This Vili monkey figure was collected before 1884 and is currently in the collection of the Rijksmuseum voor Volkenkunde (Leiden, The Netherlands) – see it in its full glory below. I haven’t read the book, but apparently the antagonist of this thriller is called l’Homme Clou (‘the nail man’). Vili monkey figure. Height: 35 cm. Image courtesy of the Rijksmuseum voor Volkenkunde, Leiden, The Netherlands. This entry was posted in Discoveries and tagged Vili on May 20, 2016 by admin. The above postcard featuring a Vili diviner holding a statue and accompanied by two musicians is well known. 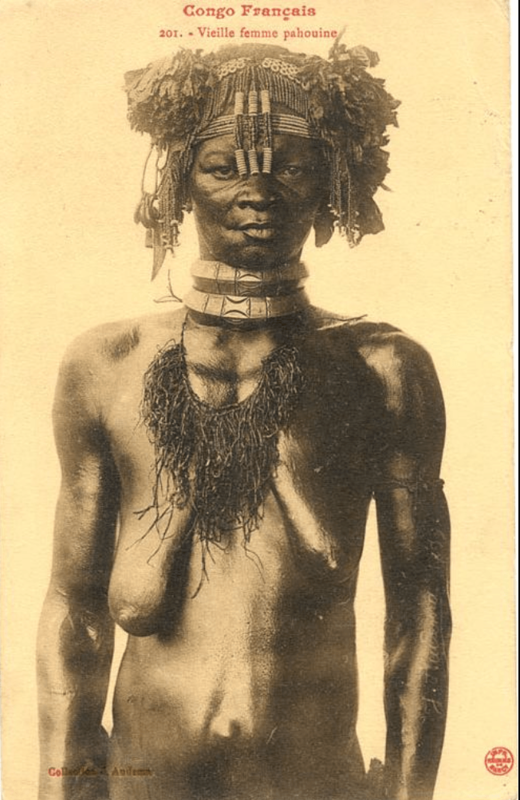 It’s photographer, Jean François Audema (1864-1921), who joined the French colonial service in 1894, made numerous photos in Gabon, Congo and Tchad between 1894 and 1912. 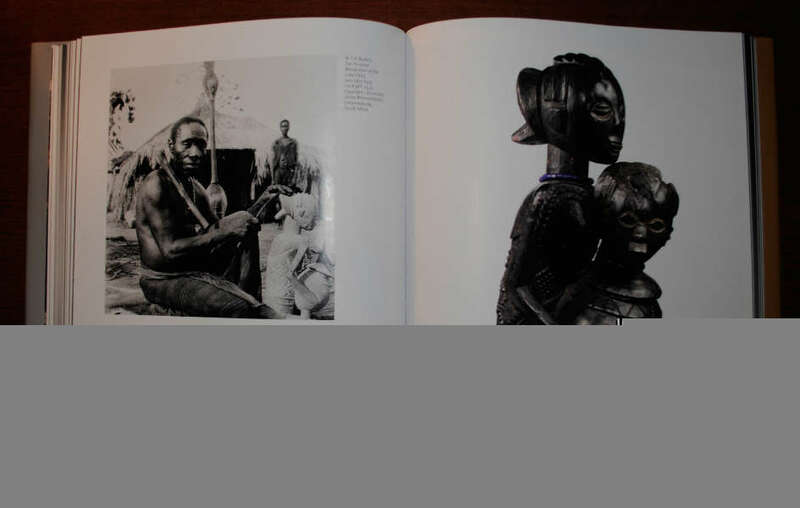 The National Museum of African Art’s Eliot Elisofon Photographic Archives has made these precious time-documents available online here (ca. 150 images). 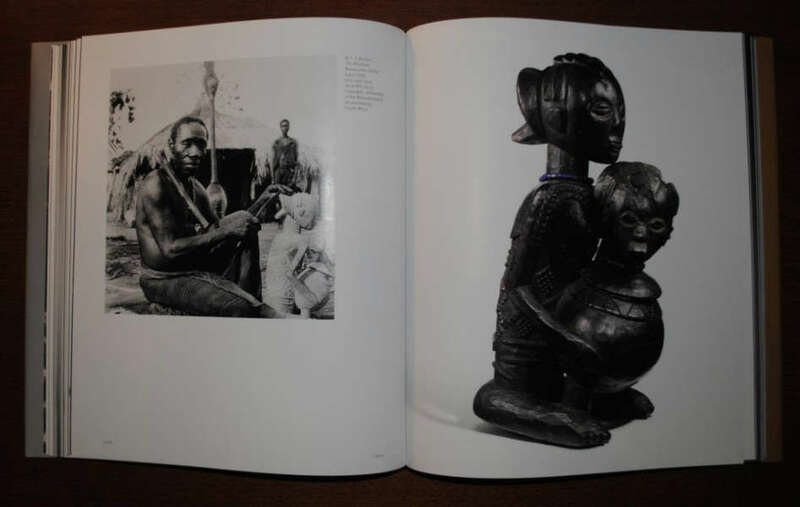 If you wish to learn more about Audema and his photographs: Christraud Geary gives a short assessment of his work held by the Smithsonian in In and Out of Focus: Images from Central Africa, 1885-1960 (London, 2002) and David MacDougall dedicates a chapter to the man in The Corporeal Image: Film, Ethnography and the Senses (Princeton University Press, 2006). This entry was posted in Research and tagged Fang, Field-photo, Vili on October 24, 2014 by admin. Vili drum. Height: 100,3 cm. Image courtesy of the Peabody Essex Museum (#E6754). The above Vili drum was donated to the Peabody Essex Museum by Captain William T. Julio in 1843. Julio was the captain of a vessel from Salem and active in the slave trade. Drums of this kind are rather rare. 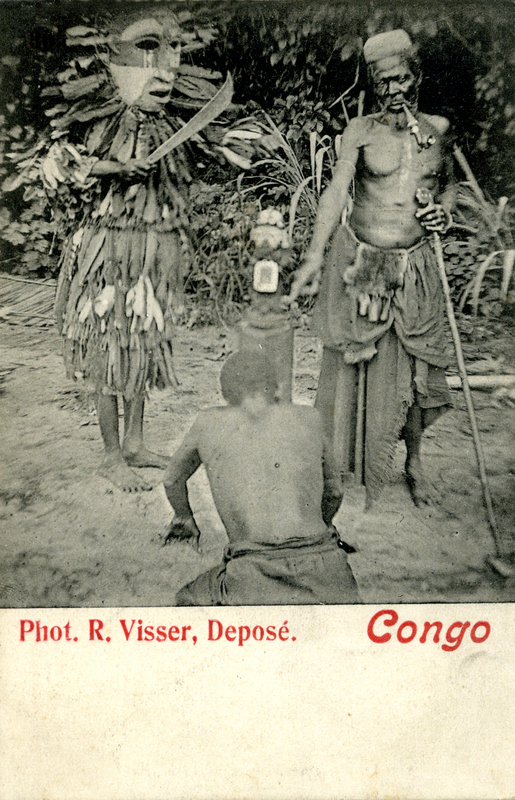 All known examples were collected during the last quarter of the nineteenth century in Loango, a region at the mouth of the Congo river (here another example which the Metropolitan acquired in 1897). There is no certainty about the use and significance of these drums. According to some authors, they were a status symbol for the ruler of the Vili, the Ma-Loango. This drum is supported by a European man seated on a stool. Possibly this is one of the earliest documented ‘colon’-figures in wood. The man is wearing a black jacket, white pants, black boots, a black, brimmed hat and a hoop earring in his left ear. Possibly it’s a portrait of its collector, made as a souvenir. The figure holds a cup in one hand and a (gin?) bottle in the other. His reddish lower eyelids and squinted eyes do suggest he has already emptied the bottle. I wonder what this says about how the Vili (more specific the carver of this drum) regarded their European visitors ? ps The British Museum has a very similar Vili drum in their collection – which they received from Henry Christy after his death in 1865. Christy himself had acquired it from the Haslar Hospital Museum – founded in 1827 and containing artefacts collected by men serving in the British Royal Navy. In my view this example misses the charisma of the above drum, the face being less expressionistic and more rigid in its rendering. It could be a copy or reinterpretation by another Vili carver, but that’s speculation. A Vili drum. Height: 103 cm. Image courtesy of the British Museum (#Af.4677). This entry was posted in Objects and tagged Vili on August 30, 2014 by admin. In case you are still looking for some summer reading material, Seven Years among the Fjort, Being an English Trader’s Experience in the Congo District, published in 1887 by Richard Edward Dennett (freely downloadable here) might be an interesting suggestion. Dennett was an English trader who left the UK for Congo in the employment of Hatton & Cookson, who mainly imported ivory, in 1879. The above book, published in 1887, recounts the seven years he spent among the Kongo-Vili (then known as Fjort). In chapter III (pp. 46-72), he discusses nkissism and on page 66 we find one of the earliest descriptions of a nkisi nkondi. 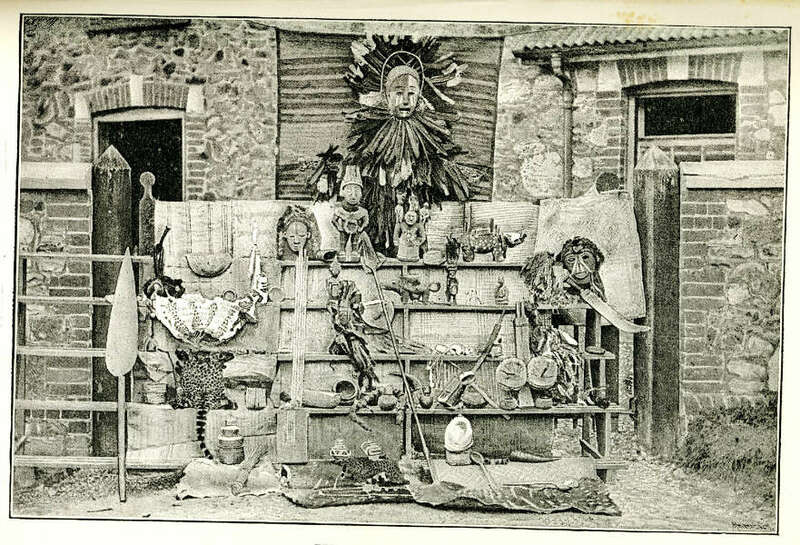 Facing page 48, we find the below photo of Feteiches and Curios. Raoul Lehuard translated the book in French as Sept ans parmi les Bavili: Les expériences d’un marchand anglais dans la région du Congo (Collection Arts d’Afrique noire, 1991). In 1889, Dennett donated over 70 objects collected by him to the Royal Albert Memorial Museum’s World Cultures collection. You can see some of them here – with such an old provenance definitely worth a look ! Image courtesy of the RAMM (#9/1889/53). This entry was posted in Research and tagged Vili on June 30, 2014 by admin. 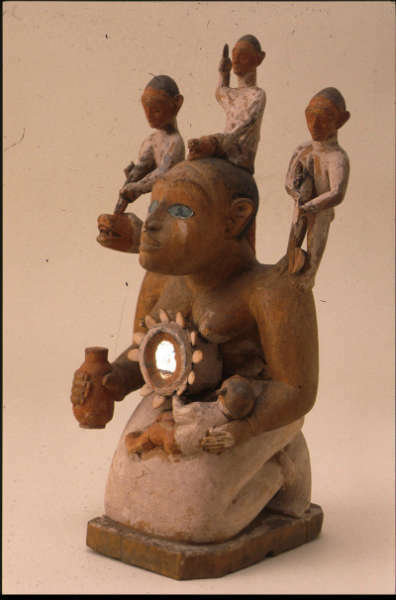 Vili nkisi nkondi figure. Height: 103,5 cm. Gift of Candis and Helmut Stern. Image courtesy of Michigan Museum of Art (2005/1.192). 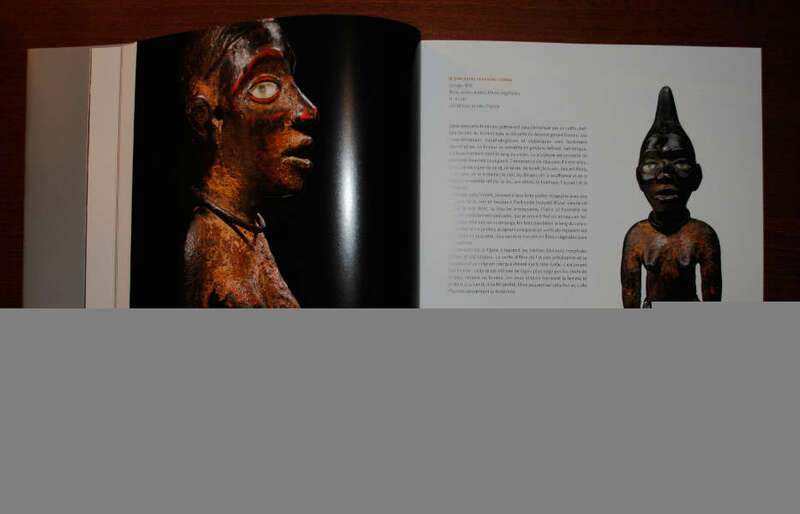 A $1.5 million gift is being used to establish and endow a new curatorial position in African art at the University of Michigan Museum of Art. The museum announced that the gift is from longtime supporters Helmut and Candis Stern. The Helmut and Candis Stern Curator of African Art will be an addition to the museum’s curatorial posts in Western, Asian, and contemporary art. Helmut Stern began collecting modern European and American art in the 1950s, and his focus shifted to African art in the 1980s. In 2005, Candis and Helmut donated 90 works of Congolese art to the Museum; many of them are now among the most popular works within UMMA’s broad collections. You can read more about the Stern gift here. This entry was posted in News and tagged Vili on April 1, 2014 by admin. 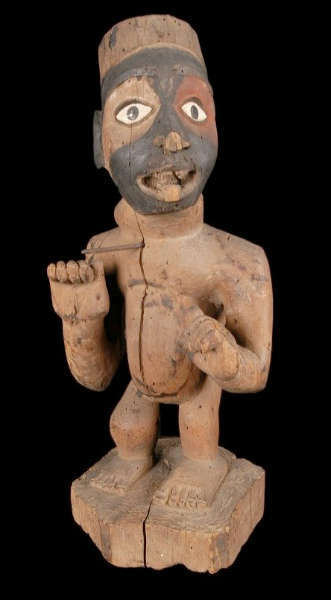 Kongo-Vili figure; height: 38,5 cm. 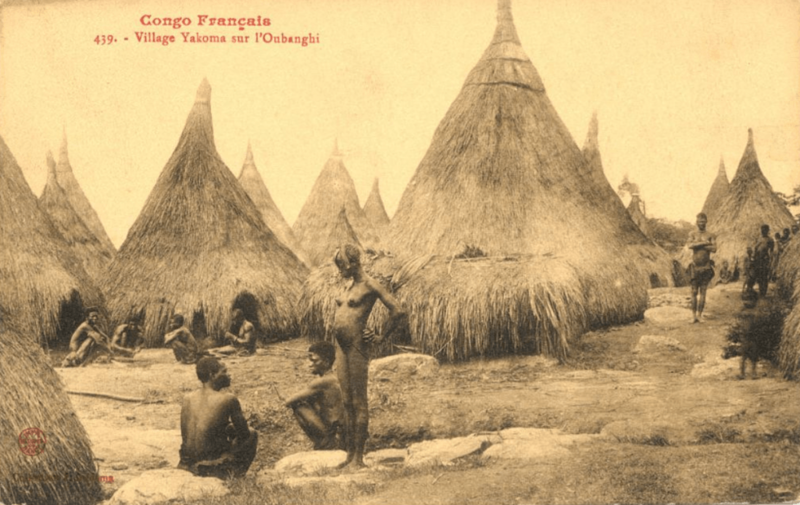 Image courtesy of the Musée du quai Branly (#71.1930.29.322). 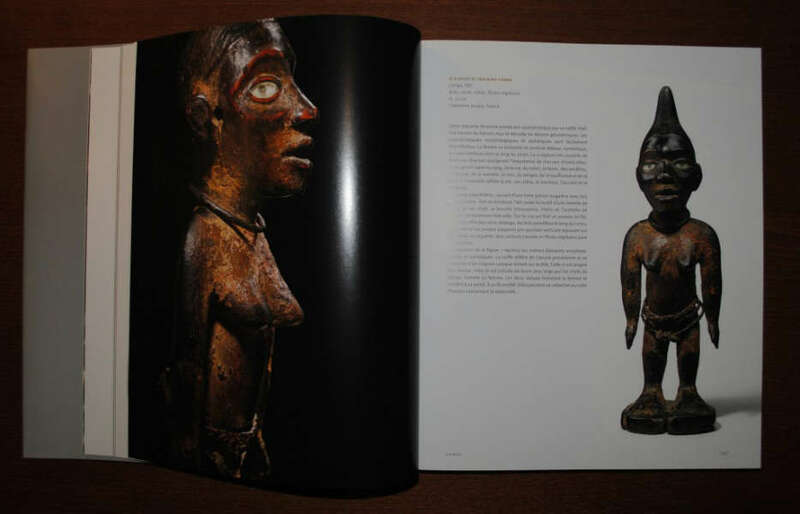 The variations in African art never fail to suprise. 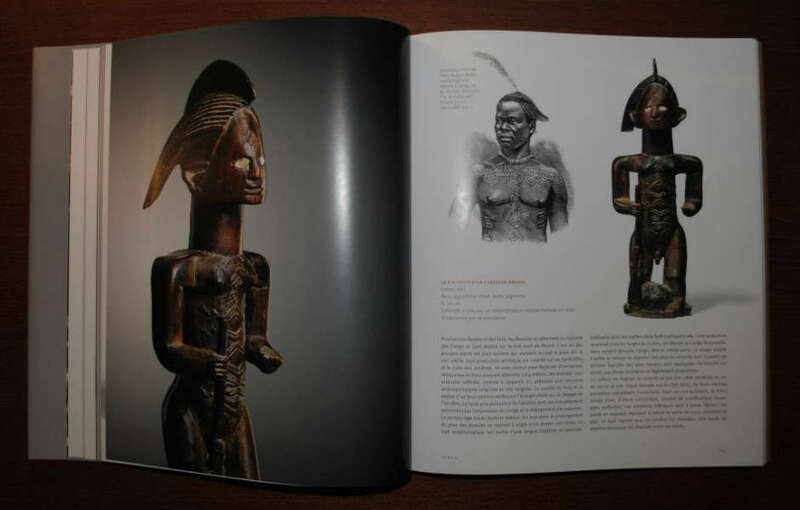 By coincidence I just found this funny Kongo-Vili figure with its head turned slightly sidewards. It was donated to the Musée de l’Homme by Stéphan Chauvet in 1930. I had never encountered this particular position of the hands before; it certainly had a meaning. I would guess this figure was never used, though the face got painted, there’s one metal nail inserted in the chest and traces of a round fetish box on the torso remain? The Musée du quai Branly holds 267.417 objects (236.509 from the old Musée de l’Homme and 22 740 from the Musée national des arts d’Afrique et d’Océanie) – not only African of course. Additionally, since 1998 the museum has acquired 8168 objects. It’s not clear how many items are already in their online database, but surely enough to have lots of fun. 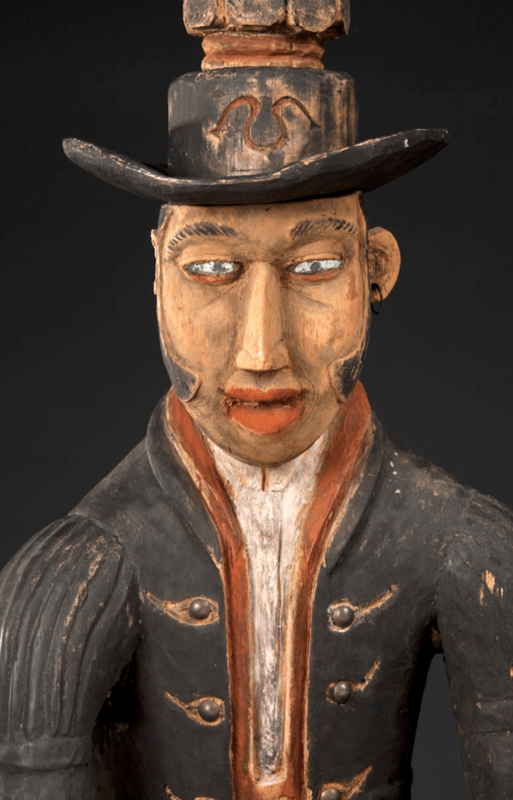 You can search the digital collections of the Musée du quai Branly here. Type a keyword in the Saisir la recherche box below the Sélectionner un critère de recherche tab. The acquisition date itself is never listed, but one can deduce it from the inventory number. Trivia of the day: Stéphan Chauvet was the author of the first illustrated compendium of information about Easter Island, L’Île de Pâques et Ses Mystères (1935), you can find a translation of it here, a must read for the armchair traveller. 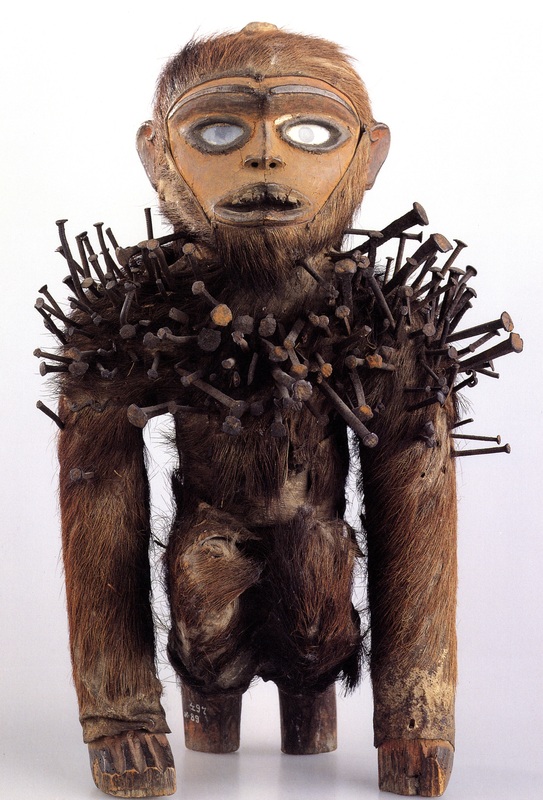 This entry was posted in Museums, Objects, Research and tagged Kongo, Vili on October 21, 2013 by admin. 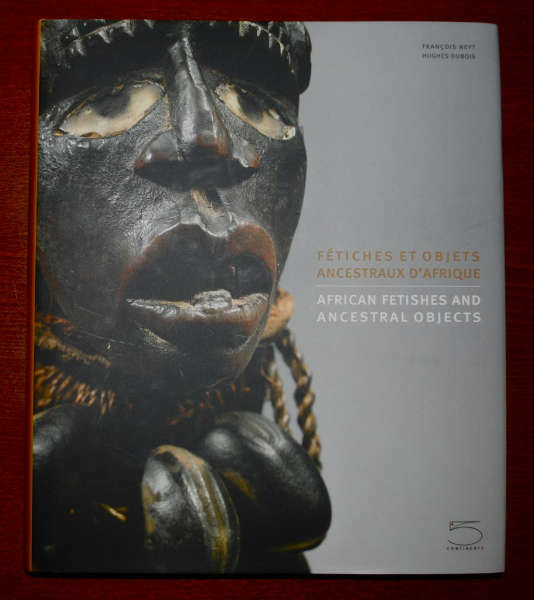 Published by Five Continents, African Fetishes and Ancestral Objects is an upcoming publication about a Brussels-based private collection. It features ca. 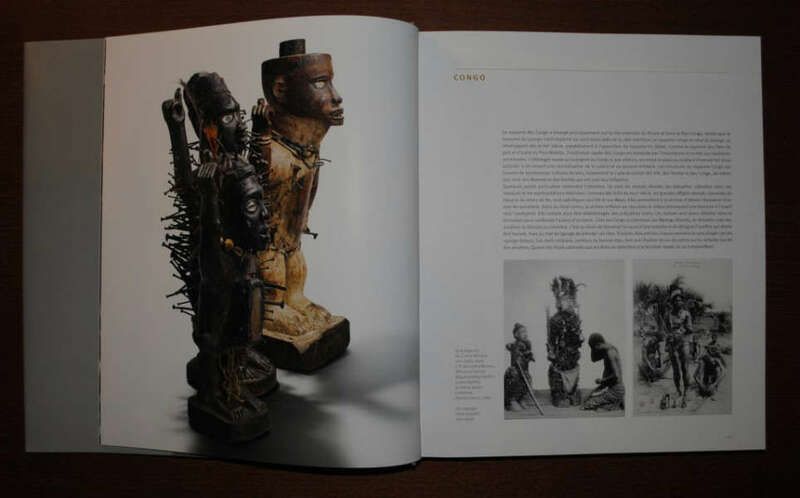 70 objects from four African style groups: the Kongo, Teke, Luba and Songye. Each object is described meticulously by François Neyt and illustrated with multiple beautiful pictures taken by Hughes Dubois. I was happy to contribute numerous related field-photos and drawings. 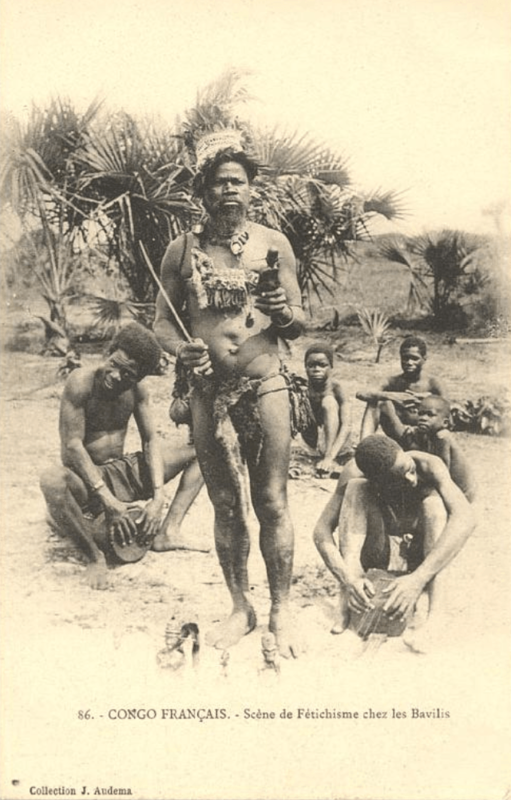 Among others, I found an old drawing from 1888 featuring a Bwende man with the same hairstyle and scarifications as a pictured figure; as well as a field-photo by Burton showing one of the carvers of the Mwanza workshop (see below). The majority of the shown figures have never been published before and this book definitely puts them on the map. It’s very praiseworthy that the anonymous collector succeeded in bringing them together at this point in time; the close guidance by Didier Claes may have played an important role in the rediscovery of so many important objects. This entry was posted in News, Publications and tagged Bwende, Kongo, Luba, Vili on September 17, 2013 by admin.